Train to be a gas engineer! Access Training Academies deliver accredited gas training courses to learners from all over the UK and abroad. No matter where you live, we can help you to get qualified and become a fully-fledged gas engineer; alternatively, if you are already a registered Gas Safe engineer, we have several advanced gas courses that will allow you to update your qualifications and add more skills to your portfolio. 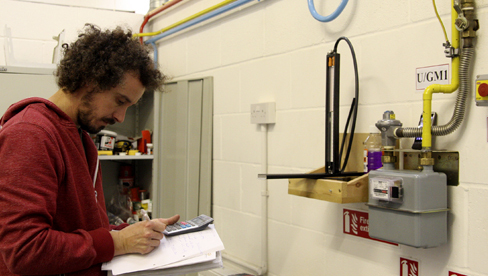 You will learn from experienced tutors who have worked in the gas fitting industry for decades. Your course will cover all the relevant theory as well as the practical skills you’ll need to work on a variety of gas installations. Call 0800 345 7492 today to speak to a training advisor! Learn the fundamentals of safe, efficient gas work. How to install and commission domestic gas appliances and pipe work. NOTE: You will need to find your own work placement in order to complete your portfolio and get qualified. Join the Gas Safe Register and become a professional gas engineer! If you’re ready to start your new career as a gas engineer, our Professional Gas Course is the perfect place to start. Anyone can enrol on this course – no experience is required! A comprehensive gas course that also includes basic electrical training. This bespoke program is open to candidates of all skill levels, and covers everything you’ll need to know in order to install and wire in new gas appliances (including cookers, fires, and boilers). All gas engineers must undergo an ACS assessment and earn their CCN1 core gas safety qualification (plus appliance-specific qualifications such as boilers, cookers, fires) before carrying out any work. Access Training Academies offer training courses that, upon successful completion, will get you qualified to work within this industry. So, you want to pursue a lucrative new career as a gas engineer, but your current commitments – work, family, etc. – prevent you from enrolling on a full-time college course? This is where Access Training Academies can help. It usually takes several years to become a gas engineer, but our intensive gas training courses can help you to achieve industry-standard certifications far more quickly. Who can train with Access Training Academies? We offer a range of gas engineer courses that are designed to suit people with no prior gas experience and people with lots of experience who want to improve their existing skills and gain new qualifications. I’m Already an Experienced Gas Engineer!